Authorities in provinces in the Mekong Delta will now supply free freshwater to people in the region to meet the severe shortage of clean potable water in this entire area. According to the Department of Agriculture and Rural Development, in Ben Tre Province, 63,000 households or 250,000 people are in dire need of freshwater, which has resulted in high costs for clean water, even higher than previous years, said the department. Freshwater for daily needs fetched VND60,000 (US$2.9) per cubic meter. In Ben Tre Town, which is more than 50 kilometers from the sea, salinity in water is upto two per thousand. The freshwater and environmental hygiene center has installed pipes to reduce salinity to one per thousand. 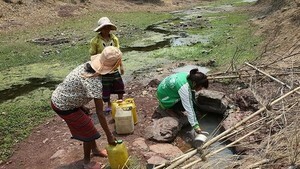 Residents are continuing to buy freshwater at VND30,000 per cubic meter. A resident in An Thuy Commune in Ba Tri District said she only used purchased freshwater for cooking while she still used salt water for bathing. 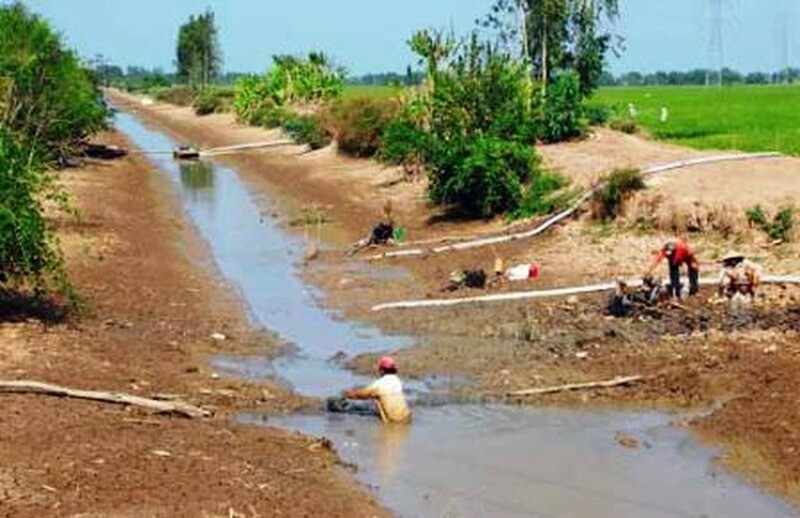 In Tien Giang Province, Nguyen Thien Phap, head of the Department of Irrigation, said Go Cong Dong District authorities are supplying freshwater to residents but in coastal areas like Tan Thanh, Tan Dien, Kieng Phuoc, Tan Tay, Tan Phuoc and Vam Lang there might be partial shortage of supply.